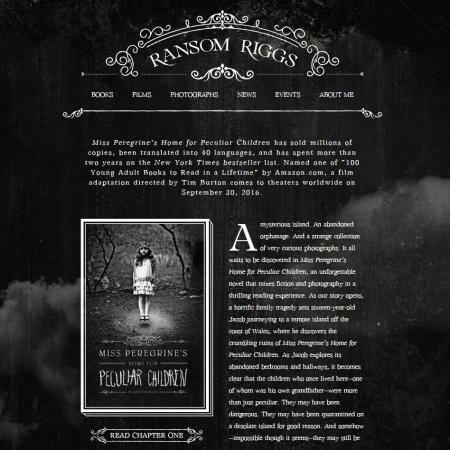 Miss Peregrine's Home for Peculiar Children, published in June 2011, is the debut novel of author Ransom Riggs. It is a story that travels physically from the sunny beaches of Florida to the gloomy bogs of a Welsh island and psychologically from safe and boring to exciting and mortally dangerous. The Quirkbooks 2013 edition, featuring an author interview and sequel excerpt, is a three hundred and eighty-two-page book primarily intended for a young adult audience, although many adults will enjoy the quirky, atmospheric tale. Scholastic.com recommends it for grades seven to twelve, approximately age twelve and up. You can purchase both the book and the film version of this interesting tale on Amazon.com. Two sequels and a graphic novel are also available. Jacob is an ordinary boy living a regular, albeit slightly privileged, life in Florida. The only wild card in his family is his grandfather, a World War II veteran with mysterious secrets. When tragedy enters Jacob's life, he travels to his grandfather's childhood home on Cairnholm Island, Wales to discover what he can about his grandfather's enigmatic past. The fictional Cairnholm Island is a green but gloomy locale full of fog, rain, and marshland boasting a pub called The Priest Hole and a museum stocked with dubious fishing artifacts and one surprising archaeological gem known as the Cairnholm Man. The surrounding sea is littered with shipwrecks. Jacob and his father stay in the Priest Hole during their visit to the island. At first, as Jacob hunts for the orphanage run by Miss Peregrine, whom he hopes is still alive, he only discovers the wreckage left behind by the bombs of World War II. However, when he stumbles upon the shocking truth, he realizes what he assumed were his grandfather's fairy tales are in fact truthful accounts. As Jacob unearths more about his grandfather's past, meets new friends, and learns about his unique heritage, he finds himself embroiled in dangerous plots. As life gets stranger and stranger, Jacob must decide whether to help his odd companions or whether to return home. The story's protagonist is an endearingly ordinary teenage boy with rich, but emotionally detached and slightly odd, parents. He is closer to his grandfather, Abe Portman. Abe, or Abraham Portman, is a Jewish World War II survivor with a mysterious past centered on a tiny island in Wales where he lived as an orphan during the War. The headmistress of this establishment is Miss Peregrine. Franklin Portman is Abe's son and Jacob's dad. He is an amateur ornithologist who gives up on his many writing projects before any of them can reach fruition. He travels with Jacob to Cairnholm to bird watch. Without giving too much away, Jacob's psychiatrist-turned-wight is a more complex character than he first appears. Martin is Cairnholm's museum curator, wannabe poet, and proud guardian of the Cairnholm Man. Alma Peregrine is the headmistress of the Home for Peculiar Children. She is known as an Ymbryne, or a manipulator of time. Emma Bloom is one of the "peculiar" children under the care of Miss Peregrine who, after a shaky beginning, befriends Jacob. Millard Nullings is another "peculiar" child who becomes Jacob's friend. Bronwyn Bruntley is an unusually strong "peculiar" child. Enoch O'Connor is one of the "peculiar" children who has a unique and slightly macabre talent. Hugh Apiston is another peculiar child who befriends Jacob. The Lit Lovers site offers several reviews. A review from the Florida Times-Union, which likens the novel to Grimm's fairy tales, points out it should appeal to adults as well as kids. A review from Library Journal intimates this unusual read defies categorization. The Guardian reviewer praises the story's "creepiness" and raves about the original photographs which lend the tale an authentic and artistic air. The reviewer points out although there are elements of horror in the story, it reads more as a thriller and should not be sidelined as a ghost story. Common Sense Media warns parents the book is complex, dark, and violent with language that may be a little too adult for some younger readers. Publishers Weekly also uses the words "dark" and "creepy" in its review but highlights the novel's authentic setting and well-developed characters. In 2012, Miss Peregrine's Home for Peculiar Children won the American Library Association's Best Fiction for Young Adults Award. 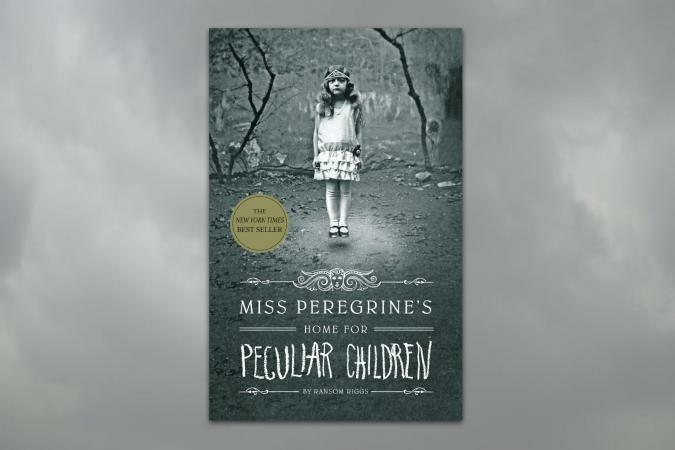 The Random House site lists Miss Peregrine's Home for Peculiar Children as being nominated for YALSA's Best Fiction for Young Adults Award in 2012 and the Pennsylvania Young Reader's Choice Award Program for 2013-2014. Ransom Riggs' website lists the novel as being named one of "100 Young Adult Books to Read in a Lifetime" by Amazon.com. A film adaptation of Miss Peregrine's Home for Peculiar Children was released in America on September 30th, 2016. Directed by Tim Burton, it stars Eva Green, Asa Butterfield, Ella Purnell, and Dame Judy Dench. The Vanity Fair review of the movie praises Tim Burton's involvement in what would otherwise have potentially been a visually stunning but "rudimentary story." Variety also raves about Mr. Burton's talents, suggesting instead of Miss Peregrine's Home for Peculiar Children, the film title could read "Tim Burton's Home for Peculiar Children." The world of Miss Peregrine and her "peculiar" children is highly readable but is also a story made for the screen. Ransom Riggs, in his interview in Quirkbooks, admits the novel came about after he discovered and collected several vintage snapshots from flea markets. These strange and haunting photographs are included in the book to intrigue the reader. With that said, teens and adults are likely to enjoy this mysterious thriller.